This Saturday, 17 June, at 3 o'clock in the afternoon, Nelson Panciatici will start the race in the no.35 Alpine A470 from 8th position among the LMP2s. 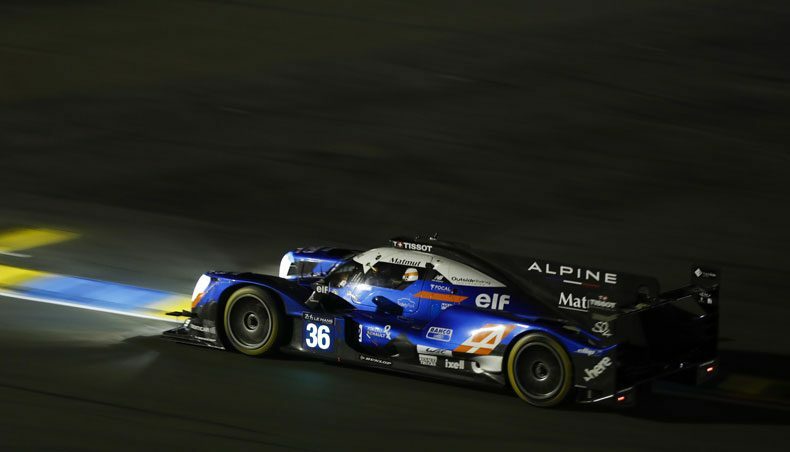 In the no.36 Alpine A470, qualified in 11th place, Gustavo Menezes has been chosen to complete the opening stints. Confident in the work done ahead of the race, the Signatech Alpine Matmut team is absolutely determined to defend the win secured here in 2016. Little by little, the main event edges closer for the sixty crews taking part in this year's 24 Hours of Le Mans. Following two days of free practice and qualifying, Friday is noted for a lack of on-track activity. And yet everyone is extremely busy: under the watchful eye of the fans, who can access the pit lane today, the mechanics finalise their preparation of the cars, whilst the engineers analyse the data gathered during testing. For the crews, the highlight remains the Drivers' Parade, held in the city centre of Le Mans from 5:30pm. On Saturday, the day begins at 9am with the traditional warm-up, a 45-minute practice session designed to let the teams check that their cars are working properly and make any last-minute adjustments to the set-up. Towards the end of the morning, the tension will ramp up a notch as the start procedure gets underway with the cars lining up diagonally on the grid and the presentation of the crews. I can’t wait to get started. With our new LMP2 cars, we are going much more quickly than before and it's exciting from a driving point of view. I think it's going to be a really good fight! As usual, we'll have to manage the traffic and tyre wear. These will be the two key aspects of the race. Our crew is very consistent and we are well-equipped to fight at the front. Nelson Panciatici, Signatech Alpine Matmut no.35 car. I still feel just as excited and happy on the day before the 24 Hours of Le Mans. I'm very pleased to be with Signatech Alpine Matmut, which in my opinion has the team to win in the LMP2 class. After winning in GT and in LMP1, it would obviously be fantastic to win in a third category. But it's going to be a long race, with a dozen or so potential winners. We'll have to wait for several hours to see who has been moving in the right direction in their preparations over the last few weeks." Romain Dumas, Signatech Alpine Matmut no.36 car.